These classes are designed to help you through the Ascension process. Classes are offered on a one-on-one basis via Skype or phone. Some courses are perfect if you would like to have a small group at your location. Learn how to access these amazing beings! This workshop can be done one-on-one or you can assemble a small group of people together to participate at your location. Learn about the main Angels and Ascended Masters that are available to help you with the Ascension Process. Experience a Guided meditation to meet your members of your team, your angels and receive angelic healing. Class can be held via Skype (worldwide) or by phone (US or Canada). This workshop can be done one-on-one or you can assemble a small group of people together at your location. This class will help you to expand your horizon as you are guided through meditation to tour the healing chambers at the center of the earth and to the heart of the Galactic. This meditation helps to raise your frequency and break through the veils of this reality. Class can be held via Skype (worldwide) or by phone (US or Canada). This is a one-on-one workshop, where you will be guided through a mediation that shows you two past lives that are impacting you in this life now. We will then work with your guide (s) to ensure that you fully understand what was being shown and why. Class can be held via Skype (worldwide) or by phone (US or Canada). The doorway to your highest aspect is a healthy, happy inner child. This is an intensive one on one class explores the aspects of the inner child that need healing. There is a guided meditation to help you access these parts of yourself that need to be healed. Class can be held via Skype (worldwide) or by phone (US or Canada). 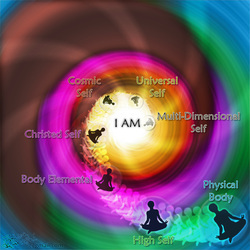 To schedule an Ascension class, please click the button below. It will prompt you to enter a time zone and then it will show you times that I am available that work for you. Payment is due at time of booking. This is a very difficult question I actually have many, the Past Lives, Inner Child and last session were my top 3! And the cutting the cords as well! I feel like these 4 had a lot of impact on my journey! Being able to connect to a piece of me that I had no idea was still impacting me in this lifetime was amazing, and I am so grateful I was able to learn from each experience! What is one or more things that you will take with you and use again? The cutting the cords meditation, as well as being able to go back to my inner child and the rose Quartz room to do more work! I’m so blessed to have met you to learn this! I continue to do the cord cutting meditation weekly. I haven’t travelled back to my inner child or the rose Quartz but I will. If you could change anything about the classes what would it be? Absolutely!!!!! I’m so happy Quan Yin brought my attention to Jenny’s post! I feel like it has really helped me explore myself and where I am going! When my friends and family are ready I will gladly recommend this to them! I know many of them could use the inner peace I gained from the experience!!!! Thanks Jenny! I am grateful for all you have shared! Namaste! “To try and put words to the gratefulness I have for Jenny’s light in my path….she’s adorned my journey with bounds of bright, bright love -supporting me like the indestructible, reflective beam that she is. Through my darkest, ugliest trenches and highest, most beautiful treetops, she is there. A gentle heart reaching out to be nothing but gentle presence, guidance, true friend. Jenny has this gift of displaying her love-fueled wings and sharing her experience to simply show you your own pair of wings – unveiling your unique vibration of Love and remembering, creating your essence in the Universe. She’s reminded me how to fly. Through my Ascension Guidance courses, each week sitting across from Jenny (on my laptop screen), I’ve slowly, steadily shed and illuminated the layers cloaking my reality – built strength to create new. In the end, receiving the greatest gift… my truth, my soul, a Sister and a return home to this Universal Love humming within and without. Wishing you the best on your ever-spiraling path to love, Jessica”. I began taking ascension guidance classes several weeks ago with Jenny….something I have never done or to be frank – something I didn’t even know existed. Within a short time, I knew this was a gifted soul who has opened doors and shown me paths along my journey. not to mention introduced me to my spirit guide! It’s been an amazing experience. I feel like a child who has had the world opened up to her; and with Jenny it feels like a dear friend rooting me on, patiently enduring my questions and where I am on my journey. No matter where you are on your path, it’s beyond comforting to know its under the guidance of someone who is connected and knowledgable, not to mention humble and funny. Every session is a bit different, as there is lots of work to do (at least with me…lol) and it builds to work in harmony with who you are right now in your life. For those that are courageous enough to do the work, it’s an amazing journey! I took the Past Life Workshop with Jenny a few weeks ago. I have been working on my spiritual journey for a little over a year now and have been very interested yet fearful of my past lives. I thought that this workshop would help me to gain some clarity and be able to gain closure with some of the things I felt I was struggling with healing completely. I was very anxious about the unknown but Jenny made me feel safe and provided me with a judge free zone where she guided me every step of the way through the process. After completing this amazing journey and seeing glimpses of my past lives I was able to discuss my interpretation of what I saw and how it applied to my life today. Jenny was able to confirm with my guides that my interpretation was accurate and I was able to begin healing things that have effected me for many lives on all levels so I could be free of the lessons once and for all. This was an amazing experience and I have considered doing it again just so I can heal myself completely. Took the Inner Child workshop with Jenny this weekend and it was amazing. I thought going into this that I would be healing a young version of myself however to my amazement it was the teen version of myself that was ready for healing. This was very difficult to go through and at times I found myself wanting to shut down however Jenny provided that safe encouraging supportive atmosphere that allowed the healing to take place and/or begin. Though it was very hard to go through and relive it felt really good to go through this process. Thanks Jenny for all of your support and help though I know I have a lot more healing to do it is amazing how different I feel through each step of the process. I’m honored really, that you are comfortable enough with me to explore those pieces. I know that healing is taking place deep within you and your growth has been amazing! I took seven classes with Jenny and they were a delight. The highlight of my week even if they did come with homework. The meditations are magical and priceless to me. I had no clue how much more of me there really is and I have only scratched the surface. It was truly a delight and I am honored that I was able to be with you and share the journey. Thank you. We really did have a good time together and I am going to miss those Monday afternoons! So glad that you were part of my journey!